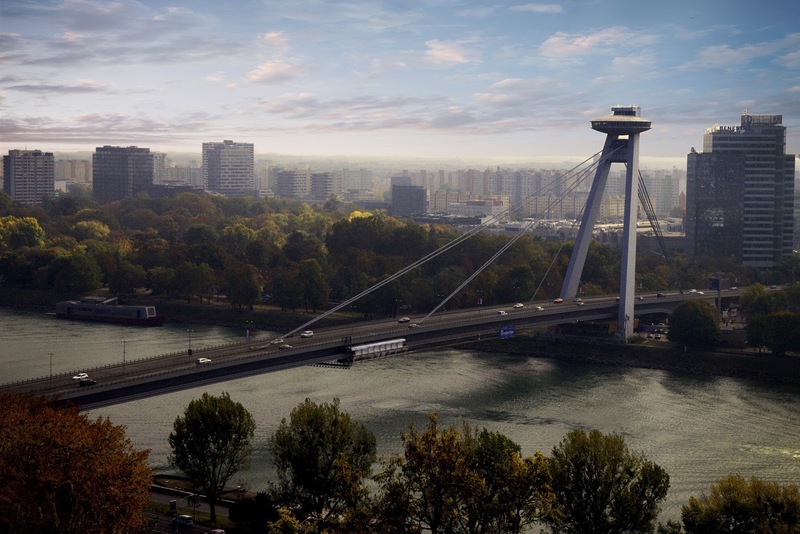 Did you know that Bratislava and Vienna are the two closest capitals in the world? They are at a distance of less than 70 km and you can easily go from one place to another without having to go through a physical border, so for anyone who visits Vienna, we recommend to add a day to your trip and, our suggestion is, why not get to know Bratislava? Bratislava is the capital of Slovakia and is right next to the border with two countries, Austria and Hungary. Despite being the largest city in the country, it has less than half a million inhabitants and, although its historical center is very beautiful and careful, it is relatively small and easy to know in one day. As we mentioned, whether you come from Hungary or Austria you will not have any question of crossing the border, and if you come from Vienna, the currency you use is the same, the Euro, which will always be a great facilitator. 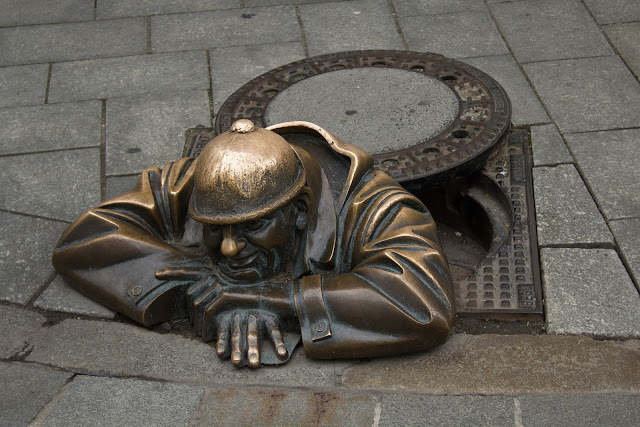 Something that is also great is that, despite using the same currency, you will have to use less, because prices are much lower in Bratislava than in Vienna, so it is one extra reason to visit the city, as well as prove its restoration, which we strongly advise. As we mentioned, it is a city that is visited quickly but, which does not fail to have many charms. However, we will leave for future posts some ideas about the best things to be done in one day in Bratislava. In this post, we want to give you our idea on how you can make this trip, from Vienna to Bratislava, by itself, instead of spending unnecessary money on scheduled Tours. Why spend money, when you can easily make this wonderful day trip and spend your money in other ways, such as a wonderful lunch in the capital of Slovakia? Well, let's get to the real reason for our post. 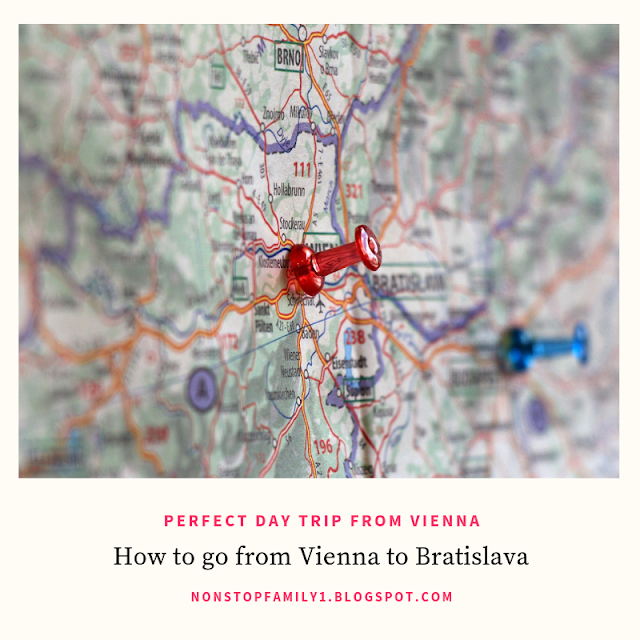 When we decided to spend a day in Bratislava, we started to do a little research about the best possibility of going from Vienna to Bratislava, having verified that there were 4 main ways to reach our destination, namely by Car, Boat, Bus and or Train. Next, we explain a little about each one of the possibilities, to help you make your choice. An always convenient hypothesis is to drive. 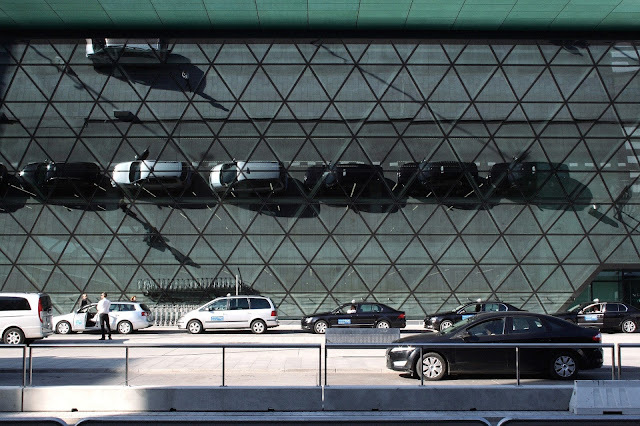 The journey is fast and, if you are traveling by car in Europe, nothing is easier than going from Vienna to Bratislava. There are 2 main options, the fastest one being essentially by motorway and it takes about an hour to travel along the way. However, although it takes a little longer (about 10 minutes more), we recommend that you take the path on the B9, with a course that many times goes along the Danube River, and makes you really wanna slow down your pace and just enjoy the view. You can check the two route possibilities in Google Maps. However, if you need to rent a car, this is an option that we do not recommend if your goal is just to get to know Bratislava. As we have mentioned, it is a small town and, one can get to know easily by walking or by public transport. Car hire would be an expensive option in our opinion. However, if you wish to do this tour by car, there is also an option that can be very economical, namely through the BlaBlaCar service. This is a service that works by sharing seats in the car. Click here to access the official site and to know more information about the service. If you choose to go by car, do not forget that you have to buy the stickers that give you permission to ride on the motorways, both in Austria and Slovakia. The fines are heavy, so it's not worth the risk. Regarding parking, the vast majority of the city is paid but, it is free at the weekends, just be aware that there are places only intended for locals. There are a few options for free parking, one of which is at the Aupark Shopping Center, you can see here the location and is a great place to shop at good prices. 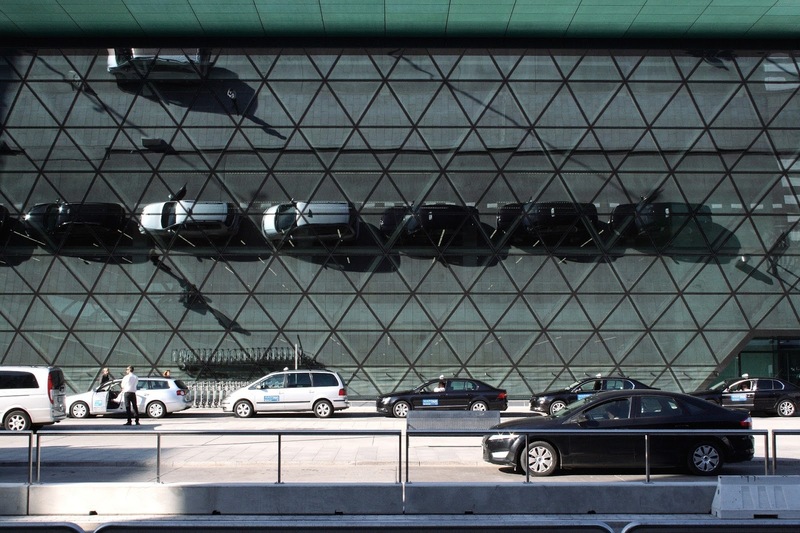 We also recommend that you park at Sad Janka Krala, which is close to the motorway, is free and only a short walk from the city center via the Stary Most (Old Bridge). This hypothesis will probably be the most expensive of all, but it may also be the most beautiful, especially if you are lucky with the weather conditions that day. 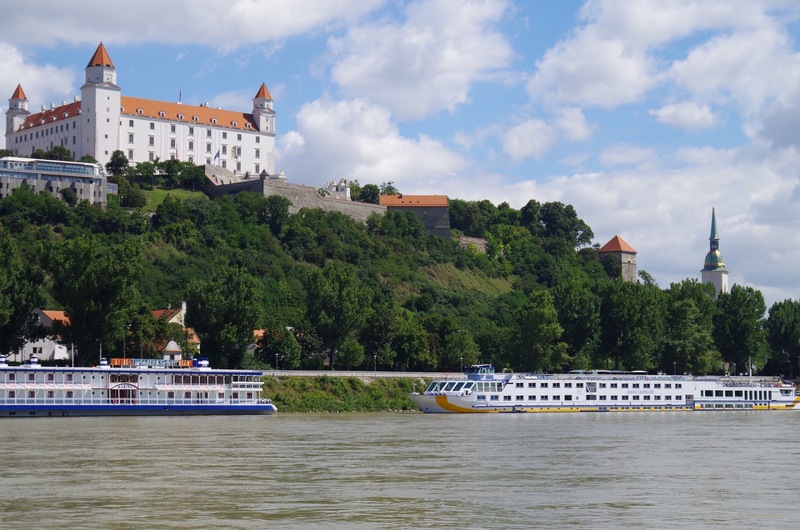 The Danube River has always been one of the most influential forms of transport and communication in Europe and, even today, it is possible to connect several cities across its waters. And, one of the connections that exist and, that you can easily carry out, is traveling by boat between Vienna and Bratislava. The boat trip takes just over an hour in each direction and prices vary between each company, being possible to get discounts when buying the round trip ticket. We leave here the links for the different companies that operate these routes so that you can make a comparison of the prices, schedules, and places of embarkation. Always be sure to check that the company operates on the day of your trip, as boat trips are usually not held between October and March. 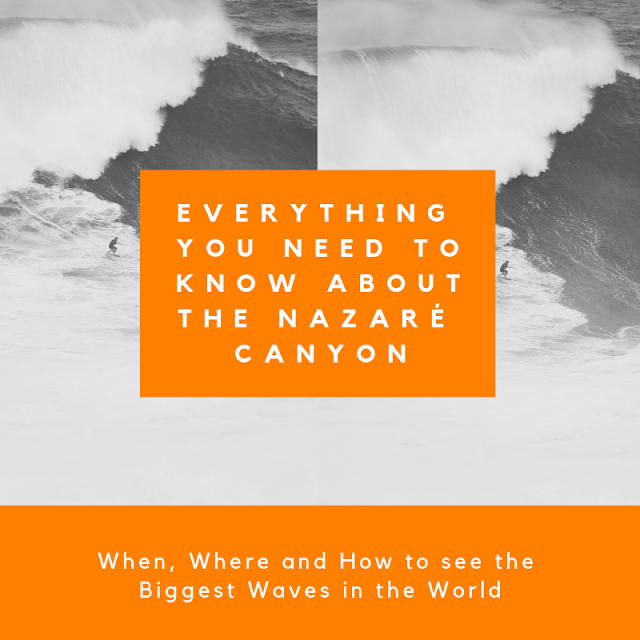 We are sure that this will probably be the most interesting way to travel between Vienna and Bratislava, but also that it will be the most expensive, so it depends on what you want but it is still a great option. This is perhaps the most used option between those who want to travel between Vienna and Bratislava, and has the advantage that, in addition to connecting the center of the two cities, it also allows to connect the two airports since, starting from the center of Vienna, passes through Vienna Airport, makes the trip of about 50 minutes to the center of Bratislava, ending your trip later at Bratislava airport. If this is your choice, you will have three main choices, namely Blaguss, Slovak Lines and Eurolines. In terms of prices, the differences are not very large, and the same is true for schedules, since they all travel frequently, usually one hour apart. What we propose is that, check the site of each one, and look for which of the lines passes closer to your place of accommodation, as we believe that this will be the most helpful feature in your choice, since all of them have a great service and, of all options, this is undoubtedly the most economical. As prices and times may change frequently, as there may be some changes in the routes, we prefer not to publish in our post and invite the reader to see the official website of each of the companies, to make their choice with the best possible knowledge. The last option we mention is to travel by train from Vienna to Bratislava. This option is also relatively cheap and very comfortable (always check official websites for prices as they are updated), and you can buy online or directly at the train station because it's not usual for the tickets to sell out. However, there are some issues that it is important to take into account. One is that the departure station in Vienna, Wien Hauptbahnhof, is not in the city center so it may be necessary to take a short walk or use the public transport to get there (about 40 minutes on foot from those who come from the Central Square, Stephansplatz). If you go by public transport to the station, it is served by the underground line U1, which easily connects the Hauptbahnhof to different parts of the city. Arrival in Bratislava is via Bratislava-Hlavná Stanica Station (Bratislava-hl. St.) but, is not a station in the city center, and it will be necessary to take a walk of about 2 km, something like 20 minutes on foot, or take the bus. Something very useful is the fact that when you get your return ticket, it also gives you access to public transport in the city of Bratislava during the day, so if you do not want to walk you can take the X13 bus and, take the Namestie SNP Stop, which takes about 10 minutes. This bus leaves very frequently and you do not have to wait many minutes. The bus stop is just in front of the train station exit, so there is nothing to miss, just save the train tickets because you will also need them for your return. Although the bus journey is more convenient, if you choose to travel between Vienna and Bratislava by train, we recommend that you take at least one of the ways by foot, as this tour shows a totally different Bratislava from its historical center, which refers more to the times before the fall of the Berlin Wall and, in our opinion, one of the areas that we liked to see in Bratislava. For schedules, we recommend that you check the official websites of the Austrian company, ÖBB Österreichische Bundesbahnen, and the Slovak company Slovakrail. The tickets and prices are the same, what you will catch depends only on the time of departure. You will find that the trains of the Austrian company are newer, but in both cases, you will make a very comfortable journey, which lasts approximately one hour. As previously mentioned, you can purchase the tickets online through the official websites (click on the companies' name to access the websites) or, at the departure station, you can buy at the ticket offices or at the automatic machines. Be aware that buying the return ticket is cheaper and gives you the right to use public transport in the city of Bratislava. In short, we can guarantee that what you will not regret the choice of visit Bratislava. It is a very interesting city but, in our opinion, it does not deserve to stay several days in it, unless you want to explore more Slovakia. If this is not the case, we highly recommend you to enjoy your trip to Vienna to make this wonderful day trip to Bratislava. 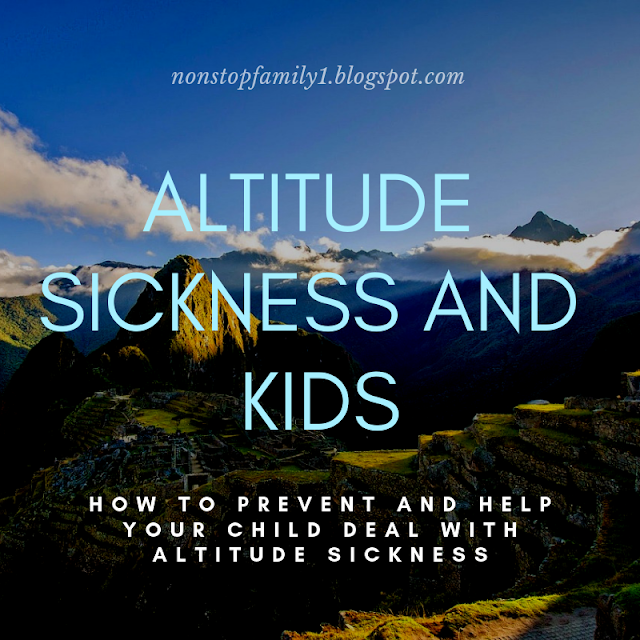 As for the best option, you will have to see for yourself, given the information we have made available, you will have to see the advantages and disadvantages. In our case, we opted for the train journey, the price was good and, the train station was relatively close to our hotel. We hope the information we provide the help you need to prepare this day trip to Bratislava which, we highly recommend, do not miss it if you go to Vienna. We also hope for your opinions, comments and, if you have already made this trip, tell us how you did it. Thanks for your visit to our Non Stop Family Travel Blog, come back often.